Piracy monetization firm Rightscorp and several copyright holders, including Hollywood studio Warner Bros, have agreed to settle a class-action lawsuit over intimidating robo-calls. The defendants will set aside $450,000 to cover the costs and more than 2,000 accused pirates are eligible for a $100 settlement each. Piracy monetization firm Rightscorp has often been criticized for its aggressive attempts to obtain settlements from allegedly pirating Internet users. Little over a year ago, these claims were accumulated in a class-action lawsuit filed in California, where the company was accused of breaking several laws in their attempt to extract settlements on behalf of Warner Bros, BMG and other copyright holders. One of the main accusations was the repeated use of robo-calls to alleged infringers. This bombardment of harassing robo-calls is a violation of the Telephone Consumer Protection Act (TCPA), the complaint alleged. Over the past few months there haven’t been any significant updates in the case but behind the scenes the parties have been working hard to reach an agreement. This week they announced to the court that a settlement had been reached (pdf). Although Rightscorp, Warner Bros. and the other defendants don’t admit to any wrongdoing, they agreed to take a loss and reserve a substantial amount of money to compensate hundreds of thousands of accused pirates. This week both parties submitted the proposed settlement to the California federal court, asking for approval. According to the paperwork Rightscorp, Warner Bros and the other defendants will set aside $450,000 to resolve the matter. “The settlement provides for a substantial benefit to the Settlement Class Members and makes available $450,000, minus Settlement Costs, to the estimated 2,059 Settlement Class Members established through pre-mediation discovery, as well as a valuable release of alleged claims Defendants have of copyright infringement for each individual class member,” the filing reads. As part of the settlement all members of the class are entitled to $100 in compensation. The funds also have to cover other costs such as administration and attorney fees, so the actual compensation may have to be reduced depending on how many accused pirates claim their share. As part of the settlement all accused pirates have to declare that they didn’t infringe any of the copyrighted works. Warner Bros and the other rightsholders will subsequently drop all copyright claims against them. The $100 is substantially less than the damages that are generally awarded for a violation of the TCPA, which range between $500 and $1,500. 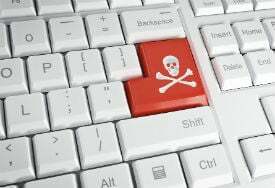 However, the paperwork points out that the accused pirates benefit from the fact that they are now off the hook for any potential copyright counter-claims, which could run into the billions for the entire class. “Rightscorp identified 126,409 separate acts of alleged infringement, which implicate a theoretical range of $94.8 million to $19 billion in statutory damages,” the paperwork reads. In addition to compensating the alleged pirates, Rightscorp also promises to prevent similar calls in the future without the recipient’s prior consent. This may make it harder for Rightscorp to extract settlements, which is another win for the class action members. c There are 67 comments. Add yours?